Frederick Law Olmsted, “Frederick Law Olmsted,” Histories of the National Mall, accessed April 23, 2019, http://mallhistory.org/items/show/85. In 1783, the Senate Committee on Public Buildings and Grounds commissioned Olmsted, who had co-designed Central Park in New York City, to design the grounds of the Capitol. Olmsted created a park-like plan that complimented the Capitol building. His plan added marble terraces on the northern, western, and southern sides of the building, and a summerhouse for visitors on the side near the Mall. Olmsted's career designing park systems and as an urban planner influenced design plans for the National Mall into the 1900s. Architect of the Capitol. View original image. Frederick Law Olmsted was born in Hartford, Connecticut on April 16, 1822. In 1848, his father bought him a farm on Staten Island, where he spent the next eight years conducting experiments in scientific agriculture. Olmsted visited Europe three times during the 1850s, studying city parks and other landscapes. A journalist, social critic, and public administrator, Olmsted wrote for Putnam’s Monthly Magazine, a literary journal, and he co-founded the magazine The Nation. In 1857, he collaborated with Calvert Vaux to enter a design competition for Central Park in New York City. They won, and Olmsted and Vaux collaborated on other projects, including city parks, residential neighborhoods, and academic campuses. After the Civil War, they founded a company that specialized in park design. Olmsted believed that preserving nature in urban spaces created a positive environment that would foster good citizenship. His final project was George W. Vanderbilt’s Biltmore Estate, near Asheville, North Carolina. He retired in 1895, passing his firm on to his son, Frederick Jr., and step-son John Charles. Charles E. Beveridge. 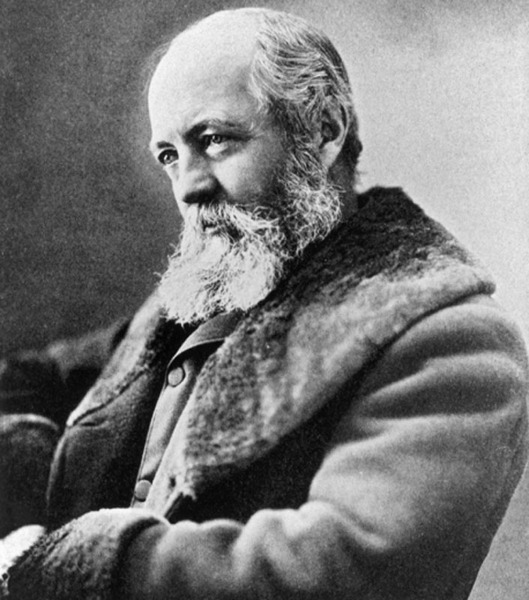 "Olmsted, Frederick Law," American National Biography Online Feb. 2000.